This Sunday, January 12th, at 2 pm we will meet for watching a capoeira documentary “Mestre Bimba: Capoeira Iluminada”. Everybody is welcome, so tell your friends if they’re interested in understanding more about capoeira. 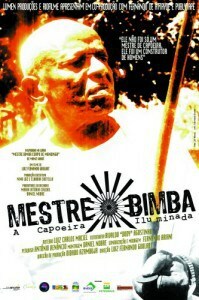 One of the best pieces of work showing the life of Mestre Bimba and his work with Capoeira Regional. The interviews with his former students, now Mestres, are full of history and great information. The bonus features with his son Mestre Nenel are priceless. This video is a must for any serious Capoeirista who understands the value of history in the art we practice today. Language: It’s in Portuguese with English subtitles, and someone will help translating into Chinese the key parts.